Sunday, Mar. 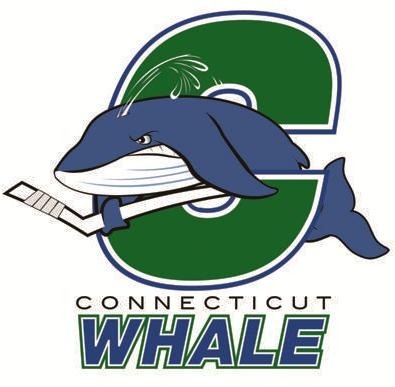 4, 12:30 p.m.
Thursday, Feb. 16, 7:00 p.m.
HARTFORD, December 15, 2011: Whalers Sports & Entertainment (WSE) announced today that WSE and the Connecticut Whale will host a top-level professional women’s hockey game prior to the Whale’s home game Saturday, January 21 at the XL Center vs. the Norfolk Admirals. The Rangers will face-off against the Colorado Avalanche tomorrow, Nov. 19, at the Pepsi Center (9:00 p.m.), in the first game of a back-to-back set. The Blueshirts currently rank third in the Atlantic Division standings, and sixth in the Eastern Conference, with a record of 10-8-1 (21 pts). The Rangers enter tomorrow’s contest having been defeated by the Boston Bruins, 3-2, on Wednesday at Madison Square Garden to end their winning streak at three games. The Avalanche enter the contest with a 10-7-1 (21 pts) record to rank eighth in the Western Conference, and have won three of their last four games. Tomorrow’s contest will begin a three-game stretch vs. Northwest Division opponents for the Rangers, who will face-off against the Minnesota Wild on Saturday, Nov. 20, at the Xcel Energy Center (8:00 p.m.), before returning home to host the Calgary Flames on Monday, Nov. 22, at Madison Square Garden (7:00 p.m.). Prior to the game, the Rangers’ morning skate is scheduled for 11:30 a.m. MST at the Pepsi Center. 2010-11: This is the second and final meeting between the Rangers and Avalanche this season, and the only meeting at the Pepsi Center. 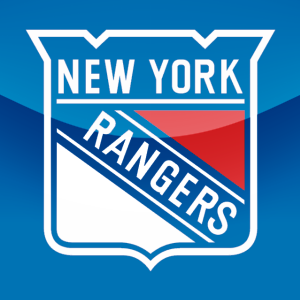 The Rangers own a 0-1-0 record thus far, following a 3-1 loss on Oct. 18 at Madison Square Garden. Last Season: New York was 1-0-0 against the Avalanche in 2009-10, including a 1-0-0 mark at Colorado. Marian Gaborik tallied all three Ranger goals to record his first hat trick as a Blueshirt in a 3-1 victory on Jan. 31 at the Pepsi Center. Power Play: The Rangers tallied one goal in five power play opportunities (6:01) on Wednesday vs. Boston. New York is tied for 20th in the NHL with a 15.7% (11-70) success rate, and ranks seventh on the road with a 20.8% (5-24) success rate. The Rangers did not convert on one, five-on-three chance (1:44) on Wednesday vs. the Bruins, and are now 0-4 on five-on-three attempts (4:31). New York is 0-1 (1:05) with a four-on-three advantage this season. Shorthanded goals allowed (0). Penalty Killing: The Blueshirts held the Bruins scoreless in three shorthanded situations (4:44) on Wednesday at MSG, and are now 23-24 (95.8%) over the last seven games. New York ranks 18th in the NHL with a 81.8% (63-77) success rate, and are 10th in the league on the road with a 83.8% (31-37) success rate. The Rangers held the Maple Leafs scoreless in one, three-on-five situation (0:31) on Oct. 30 at Toronto, and are 4-6 on three-on-fives (5:08) this season. The Blueshirts held the Penguins scoreless in one, three-on-four situation on Monday at Pittsburgh, and are now 4-6 (2:41) in those situations this season. 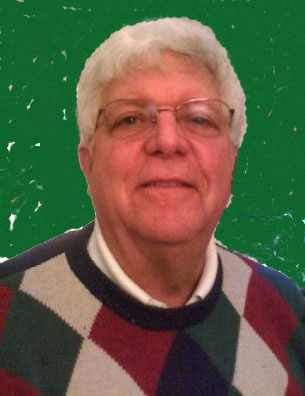 Shorthanded goals for (3): 10/9 at BUF (Dubinsky); 11/5 at NJD (Dubinsky); 11/15 at PIT (Staal). Four-on-Four: New York did not tally/yield a goal in one, four-on-four situation (1:16) on Wednesday vs. Boston, and are now plus-two in 19, four-on-four situations (26:08) this season. Four-on-four goals for (3): 10/18 vs. COL (Frolov); 11/11 vs. BUF (Anisimov); 11/15 at PIT (Callahan). Four-on-four goals allowed (1): 10/15 vs. TOR (Kessel). Tomorrow’s contest will begin the Rangers’ fifth of 18 back-to-back sets this season. The Blueshirts are currently 2-2-0 in the first game of back-to-backs following a 8-2 win vs. Edmonton on Sunday at Madison Square Garden, and are 1-2-0 when the first game of the set is on the road. New York has posted a record of 4-0-0 in the second game of back-to-backs this season, including a 3-0-0 mark on the road following a 3-2 overtime win at Pittsburgh on Monday. Over the last two seasons, New York is 13-2-2 in the second game of back-to-back sets, including a 8-1-1 mark away from MSG over the span, having posted a record of 9-2-2 overall and 5-1-1 on the road last season. Tomorrow’s contest will mark Dan Girardi‘s 300th career NHL appearance, while Michael Del Zotto will be skating in his 100th NHL contest. The Rangers have had seven different players credited with at least one game winning goal this season, which is tied for sixth most in the league. New York trails Washington (10), Montreal (nine), Boston (eight), Detroit (eight), and Los Angeles (eight), and are tied with Anaheim, Minnesota, Ottawa, Philadelphia, Phoenix, and Vancouver entering tonight’s action. The Blueshirts currently lead the NHL with 338 blocked shots on the season, averaging a league-high, 17.8 blocked shots per contest. Dan Girardi ranks first in the NHL with 59 blocked shots, and Ryan Callahan leads all NHL forwards with 30 blocked shots. The Rangers currently rank second in the NHL with 558 hits on the season, and lead the league with an average of 29.4 hits per contest. Ryan Callahan currently leads the NHL with 75 hits.